Somewhere between 4-6 months, or even later, your baby will be ready to start solids. Here is a list of items we loved and you will need when that time comes! You can find most of these products in my Amazon shop. Our pediatrician recommended starting with baby cereal or oatmeal as it is bland so baby is more so getting used to the texture at this time and not worrying about the taste. Our favorites were Happy Baby and Earth's Best. While doing the oatmeal, you can also introduce puffs as they are also pretty flavorless (despite having different flavors, we tried them ourselves, haha!) 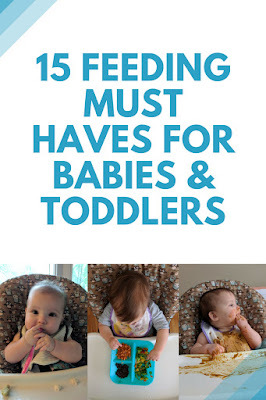 and will allow your baby to practice feeding themselves! A blender will be necessary if you plan on making your own baby food. We love our Ninja blender and highly recommend it! We used both but could have probably gotten away with just glass jars. I would personally skip the icecube trays and go for the jars as you can freeze them and heat them up in the microwave. However, if you do want to do the icecube trays, definitely go with silicone as they pop out so much easier! You will have to start with spoon-feeding your baby, but eventually, they will be the ones playing with the spoons and learning how to use them! We love the Munchkin spoons! Sippy cups are going to be a lot like pacifiers, you may get lucky and the first one you picks works, or you may have to try many different ones until you find one your baby likes. We went through so many sippy cups and even though sites claimed the straws are harder, our daughter only likes the straw sippy cups. The Playtex ones are our favorite as they don't leak and the straw stays in place. Avoid The First Years brand, those straws pop out so easily, it's a pain, as your baby will throw it on the floor over and over again. These are more for you, in the beginning, to mix oatmeal in, as if you give it to the baby, it'll just end up on the floor. We found it was easier to serve food right on the high chair tray and let her just mess around with it with her hands and spoon. We liked these Munchkin ones as they came with a lid, so when your baby is older, you can save what they don't eat for later. We mostly use our daughter's high chair tray, but if you want a little less mess, you can get a food tray or plate to put food on. Just know that it may end up on the floor. We got these kiddie bite trays back when I was a brand enthusiast for the company and they were awesome! Our daughter, of course, would play with the tray, but only after she was done eating, so we got lucky. There are some toddlers who will just toss it food and all onto the floor so you may want to look for something with suction, though I've heard some toddlers are strong enough to remove those! Food pouches are not recommended by the pediatricians we talked to as they can inhibit a child's ability to learn to feed themselves. You can, however, still use them occasionally or simply just squeeze the food out onto a tray or bowl for your child to mess with. We use pouches when traveling or out and about and avoid them at home. Jar food is actually really hard to find now, so I mostly bought pouches and just squeezed them out for our daughter. Beech-Nut was the only jar brand we bought. Your baby may not have teeth at first, but once they start solids you should try an wipe their mouth with a warm washcloth once a day, usually after dinner or their last solid feeding of the day. You can also get a finger brush, which our daughter loved during teething as it was like a nice massage on her gums. Later on, once your baby has more teeth, you can switch to the bristle brush. Babies are messy so you will need bibs and lots of them! My favorite ones are actually the ones my aunt and cousin made for us out of what appeared to be dishtowels. They are so long and cover the entire body! Here are some bigger ones I found on Amazon. There are also these full coverage apron ones that seem a bit extreme to me, but if you don't like a mess at all, then it may be for you! You will need something to feed your baby in! We have a Graco 2 in one so it can switch into a booster seat for later. Feeding time is very messy so you will need a washcloth to wipe your baby clean or you can use baby wipes. A washcloth is more eco-friendly as it is reusable, but baby wipes are great when traveling. This little food chopper made cutting up veggies and fruits a breeze when our baby was ready to move on to table food! You will definitely want one if baby led weaning is your thing or once you're ready to switch to table food, as cutting everything up with a fork or knife takes so much work. Our daughter loved teething biscuits. They are great for teething and is great practice for learning to feed themselves. This is so helpful! Saving this! My kids loved the Baby Mum Mum teething crackers. We also loved the ice cube trays when making purees! We only use a few things on this list haha we have a high chair and sippy cups along with some bowls and things like that. But our little one doesn't actually use the bowls and spoons and we did baby led weaning so we skipped purees and baby foods completely haha she does, however, love the food pouches when we're out. I just toss them in my bag for her to snack on while we're in Target or something and she loves them. It's a super easy snack for her. Pouches are one of the best inventions ever! We did baby-led weaning with my youngest, but those pouches were great for when we were on the go once he understood how not to make a mess with them. They made a great snack as well. We used them all except the mini chopper for her! Such a great list! My kiddo also loved those Mum Mum teething crackers. Also, those ice cube trays are great for freezing juice for little one to teethe on. Food in general has really helped her get through teething spells. These are great suggestions. I love finding new ways to feed my little man. I am going to try some of these for sure. There are more neat gadgets and foods now than when I had babies. Great time for having kids! This is such a great list! I wish I had it when my son was starting this stage! It would have helped so much! We had to go through a lot of trial and error figuring out what worked best. Very detailed list. I used all but the choppers. The things listed here made the first year a lot more easier. When your child is starting to eat for themselves, or attempting to, there is definitely so much that you need to help them. This is such a great list! This is a really informative article indeed. 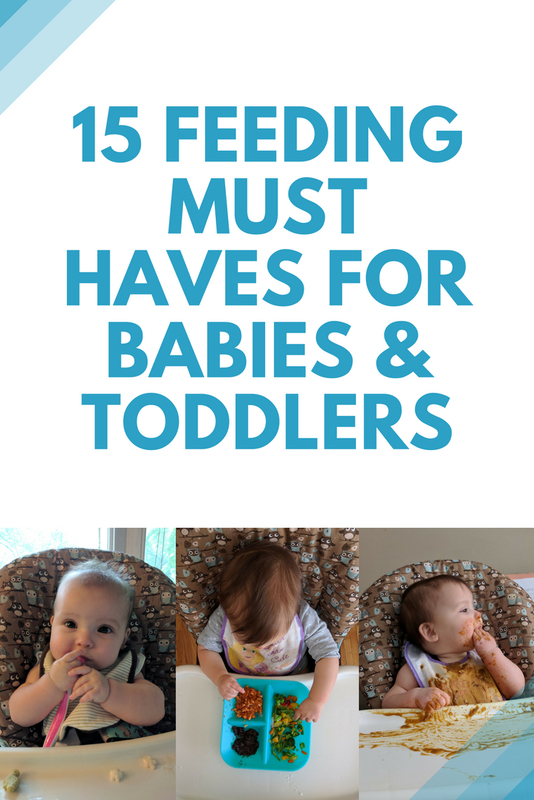 You suggested so many great things to help weaning and feeding little ones. These are such great things!! It's hard to transition foods sometimes, and these are such helpful things for the stages. Puffs is one my daugters favorite. I've been buying tis even before whn her older brother and sister is still a baby.